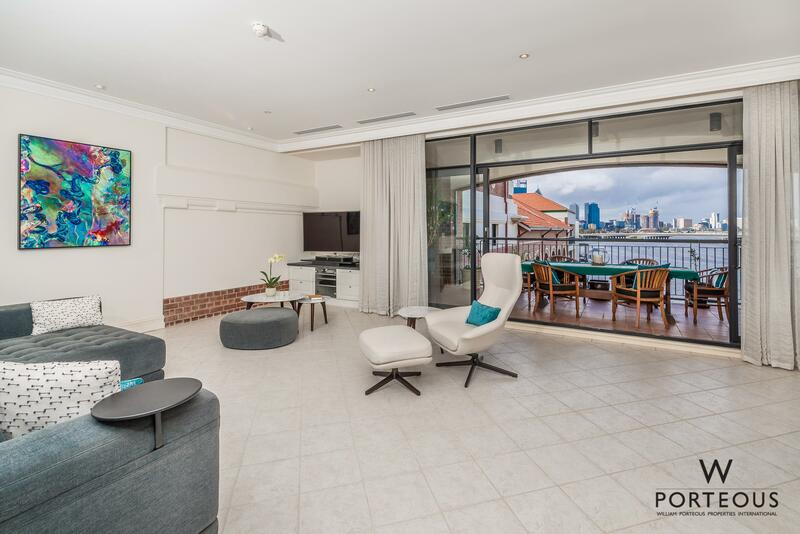 With an improved price, Apartment 305 offers a total of 292sqm across 3 bedrooms, 2 bathrooms, a powder room, a wine cellar, a study, the living-dining-kitchen, and alfresco entertaining on the terrace balcony. 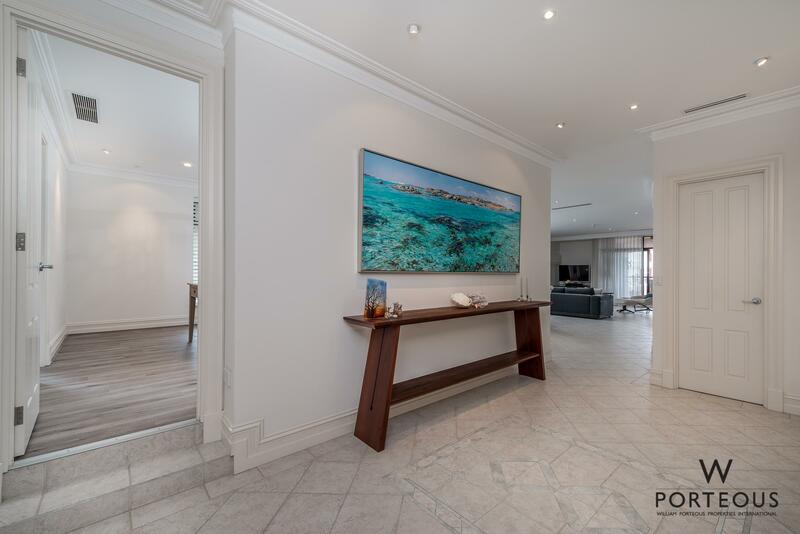 With its soaring ceiling height throughout, this is an enormous amount of space when compared with other 3bed 2bath options in and around the city. Nore are any of those are right on the water like this one. In addition to the apartment space, you also have 3 car garaging with ample extra room for more storage – Almost unheard of unless you are paying millions for a penthouse. There is lifts access to all levels in the complex for complete convenience. We are in one of the most historically significant and unique heritage buildings in Perth. It epitomises old world charm, quality and a generosity of space you simply don’t find in modern buildings. 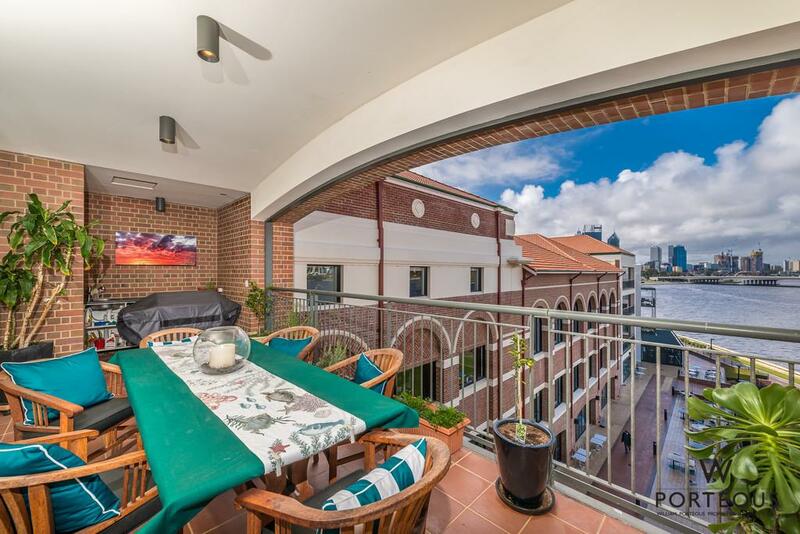 As apartment living becomes more common in Perth, this is one of the many elements that will always put the Swan Brewery Apartments absolutely in a class of their own. The Swan Brewery building is also home to a fantastic informal restaurant/cafe as well as a fine dining restaurant. It has a gym and a heated indoor swimming pool. The garaging for residents and guests is accessible from Mounts Bay Rd, coming in either direction. Most people don’t realise that there is a road under Mount Bay Road, as well as the enclosed footbridge over it. There is almost unlimited secure free guest parking. It is easy to find and easy to access. It is literally only a few minutes from the commercial CBD hub of the City. It abuts Kings Park and some of Perth’s most scenic walking/cycling trails. 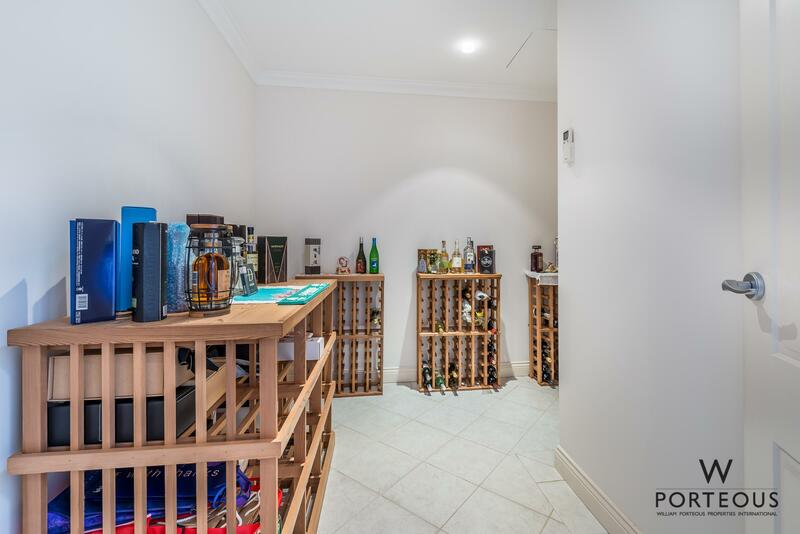 It is minutes from great shopping in Crawley, Nedlands or Subiaco – It’s your choice where you shop but it is all very easy and very accessible. Apartment number 305 is located on the top floor with a unique North/East orientation. This gives it world class views directly at the city and down the river from the main bedroom, living room, dining room, kitchen, and balcony. The main living room also has large windows on the north side looking back to Kings Park. 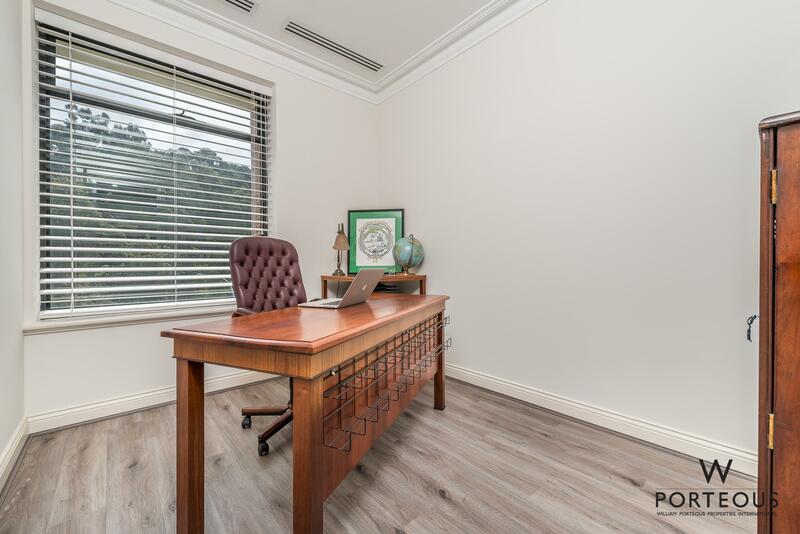 All the other rooms also have north facing windows and views back to Kings Park. The result is a beautifully light, bright and airy apartment that is warm and inviting year-round. The kitchen is enormous with exceptional amounts of storage and it has, of course, spectacular views. There is a walk-in pantry with masses of open storage plus an additional bench area. Directly off the main living room is a large balcony facing the river and city. Its eastern orientation means the views are incredible – River; City; South Perth; Darling Scarp. It is sheltered year-round from the prevailing westerly and southwesterly winds so unlike many balconies, you will enjoy this space in every season. The sophisticated master suite is centrally located off the living space via tall double doors. It enjoys all the views on offer from every angle via the large windows that surround it. Recently renovated with brand new engineered timber flooring, white timber shutters, a sense of airiness and light fills the room. This area encompasses mirrored wardrobes, a walk-in-robe, a huge ensuite bathroom plus a separate toilet. This luxurious en-suite is a stunner with beautiful views to Kings Park, marble bench tops, full height tiling, double basins, an oversized shower and a corner spa bath. On the other side of the apartment, via a wide corridor, there are two queen-sized bedrooms, both with generous built-in wardrobes and the same engineered timber flooring. There is also a study, laundry and a beautifully proportioned family bathroom with a large double-headed shower, bath, toilet, double basins with marble bench tops and full height tiling. Come and see for yourself what makes this apartment unlike any other you may be considering. Only then will you have a true sense of its value. Call today and let’s get you through.